The Prime Minister’s office in Iceland has just issued a press statement in English to the international press saying that the Prime Minister has not resigned, merely stepped aside for an unspecified amount of time and will continue to serve as the Chairman of the Progressive Party. Prime Minister of Iceland very proud of Government’s success – suggests Progressive Party Vice-Chairman take over the office of Prime Minister for an unspecified amount of time. Today the Prime Minister of Iceland Sigmundur David Gunnlaugsson has suggested to the Progressive Party Parliamentary group that the Progressive Party Vice-Chairman take over the office of Prime Minister for an unspecified amount of time. The Prime Minister has not resigned and will continue to serve as Chairman of the Progressive Party. The Prime Minster is very proud of the success of his Government’s policies that have resulted in the resurrection of Iceland’s economy, an unprecedented rise in purchasing power, record low inflation and a general improvement in living standards for the Icelandic people. The Prime Minister is especially proud of his Government’s handling of Iceland´s situation with the creditors of the failed Icelandic banks. The Prime Minister has devoted much of his time in politics to the challenge of resolving the dramatic balance of payment problem Iceland faced due to banking crisis in 2008. If the creditors of the failed banks, which were nine times the size of the economy, had been allowed to take their claims and exit Iceland with foreign currency, it would have had a devestating impact on the standard of living for Icelanders. Instead the Prime Minister and his Government were able to bring to the table a solution which will have an exceptionally positive impact on the Icelandic economy. The net positive impact to the Icelandic economy is more than three billion GBP, or a quarter of Iceland´s GDP. The net external position of Iceland has never been as good as now. These facts are acknowledged by international experts, including Lee Buchheit, the Government’s advisor on capital account liberalization and a world renowned authority on sovereign debt reconstruction, who said in a recent interview that the result achieved in settling the failed banks’ estates is unprecedented in world financial history and that this outcome could by no means have been expected. 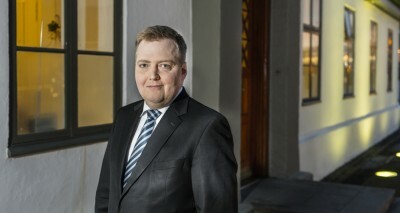 The Prime Minister’s action reflects his wish to not stand in the way of the important issues that still remain on the Government’s agenda being finished in this term, issues like housing reform and the reform of the financial system that he will continue to fight for in the interest of the Icelandic people. In recent weeks, the Prime Minister and his wife have provided detailed answers to questions about the assets of the PM’s wife. They have never sought to hide these assets from Icelandic tax authorities and these holdings in Wintris have been reported as an asset on the Prime Minister’s wife’s income tax returns since 2008 and taxes have been paid accordingly in Iceland. No Parliamentary rules on disclosure have been broken. Even The Guardian and other media covering the story have confirmed that they have not seen any evidence to suggest that the Prime Minister, his wife, or Wintris engaged in any actions involving tax avoidance, tax evasion, or any dishonest financial gain. As up until now, the Icelandic Government continues to use every option available to prevent tax avoidance.